The objective of this research is to study the influence of cutting parameters on the quality and integrity of machined surfaces obtained by a longitudinal external turning in a sintered self-lubricating composite. Tests were performed at cutting speeds of 100 and 200 m/min, feed of 0.1 and 0.2 mm, and cutting depths of 0.5 and 1 mm for the materials manufactured by single and double pressing. The materials tested are composites with matrix composition of Fe-Ni-C-Si containing solid lubricants, which were subjected to the pressing process and subsequent sintering. The analysis of machined surfaces indicates that the large amount of ferrite in the microstructure of the matrix combined with the type of insert used in the tests caused high plastic deformation of the surfaces. However, solid lubricant particles were left exposed on the surfaces produced after machining. The roughness parameters Sdq (rms surface slope) and Str (texture aspect ratio) were influenced only by variations in the cutting speed. The roughness parameter Sq (root mean square height) was influenced by the variations in the cutting speed and feed as well as the material manufacturing route. 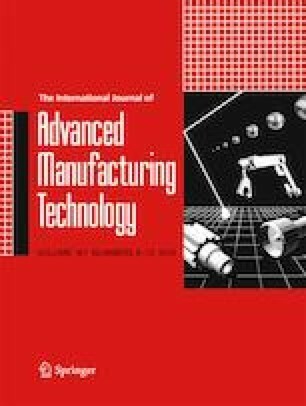 Plastic deformation caused by machining led to the closing of pores, which affected the integrity of machined surfaces. The hardness of the surface boundary layer was approximately 30% higher compared with the boundary layer of sintered surfaces. The authors would like to thank CNPQ, CAPES, and Whirlpool-Embraco for funding this research. The authors would also like to thank LABMAT, LCM, CERMAT, LMP, and the Program of Post-Graduation in Mechanical Engineering (POSMEC) of the Federal University of Santa Catarina.